I will have the honor of speaking at Annapolis Lodge No. 89 in Annapolis, Maryland this coming Monday evening, October 5th. Annapolis Lodge No. 89 has been active in the Annapolis community for 161 years. The Lodge was chartered on May 9, 1848. 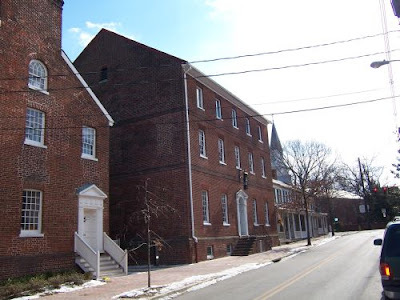 The Annapolis Lodge Temple is located at 162 Conduit Street in historic downtown Annapolis. Dinner starts at 6:30PM and is by reservation only. The meeting will begin at 7:30PM. For reservations, contact the lodge here. Cory Sigler passes along this information today (click the image to enlarge). All New Jersey Lodges are opening their doors on Saturday October 3rd from 11am-3pm for an event being called "Square & Compass Day". We are inviting all members of the community to come in and ask us any question, see the Lodgeroom, regalia, jewels..etc. The attached ad was put in today's newspaper and lists all of the 2nd, 3rd and 5th district lodges however as I mentioned above ALL lodges throughout New Jersey will be open. Politico's Eamon Javers goes to Capitol Hill in search In search of Freemasons in the halls of government. The reporter turned to an even more eminent figure, Senate Historian Don Ritchie. But Ritchie said there’s no list of Masons in Congress. Politicians have long been drawn to the group, he says, because of its grass-roots political organizing power. 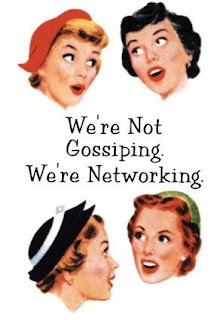 Yep, that's us. Out there organizing political movements. Nevertheless, some interesting comments from several Senators and Congressmen who are brethren. Washington, DC (MMD Newswire) September 28, 2009 -- Freemasons (or Masons), their families and friends, from the national capital region, the country, and the world will gather in Washington, DC on October 3, 2009 for a service of prayer and thanksgiving. The Nation's Capital Masonic Day of Prayer will take place at 12:00 noon on Saturday, October 3, 2009, at the Metropolitan Memorial United Methodist Church, located at 3401 Nebraska Avenue, Washington DC. Refreshments will follow the service. The event is being jointly organized and hosted by the Grand Lodge of Free and Accepted Masons of the District of Columbia and the Most Worshipful Prince Hall Grand Lodge Free and Accepted Masons of the District of Columbia, Inc. 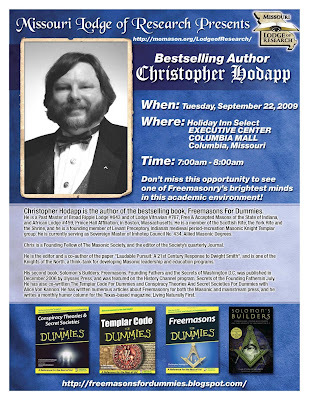 The event will take place some two weeks following the publication of Dan Brown's much heralded new book, "The Lost Symbol", which has a plot focusing on Freemasonry and Washington, DC. The Grand Lodge of the District of Columbia is the governing body of Free and Accepted Masons in Washington, DC. Freemasonry has been a major part of community life in the United States for over two hundred and fifty (250) years. Freemasonry is America's largest and oldest fraternity and is predicated on the brotherhood of man under the fatherhood of God. Freemasons seek to promote friendship, morality and brotherly love in all their activities. They are bound together by a philosophy of moral standards, mutual understanding, and brotherhood in which all men are on a level and equal. Freemasonry, I admit, has its secrets. It has secrets peculiar to itself, but of what do these principally consist? They consist of signs and tokens which serve as testimonials of character and qualifications, which are conferred after due instruction and examination. These are of no small value. They speak a universal language and are a passport to the support and attention of the world. They cannot be lost so long as memory retains its power. Let the possessor of them be expatriated, shipwrecked or imprisoned; let him be stripped of everything he has in the world, still their credentials remain, and are available for use as circumstances require. The good effects which they have produced are established by the incontestable facts of history. They have stayed the uplifted hand of the destroyer; they have subdued the rancor of malevolence and broken down the barriers of political animosity and sectarian alienation. On the battlefield, in the solitudes of the uncultivated forest or in the busy haunts of the crowded city, they have made men, of the most hostile feelings and the most diversified conditions, rush to the aid of each other with special joy and satisfaction that they have been able to afford relief to a Brother Mason. The city authorities in Washington D.C. have refused to renew a permit for a local Masonic lodge that would allow the owners to rent their temple to outside organizations, citing several recent incidents of violent crimes involving young people on the premises. The story is in today's Washington Examiner, and paints a less than flattering picture of the lodge. It's a bogus "masonic" group that has precisely nothing to do with regular, recognized Freemasonry. The Most Worshipful King Solomon Grand Lodge, Ancient Free & Accepted Masons Inc. refers to its D.C. location at 2245 Rhode Island Avenue as the "Holy See." Unfortunately, readers see the term "Masonic lodge" and figure it's "those Freemasons." They have nothing to do with either the Grand Lodge of Free And Accepted Masons of the District of Columbia, or the Most Worshipful Prince Hall Grand Lodge, Free & Accepted Masons, Prince Hall Affiliation, of the District of Columbia, Inc, the only two regular and widely recognized grand lodges in the District. D.C. Mayor Adrian Fenty on Thursday said the city has not renewed a license that would allow a Masonic lodge in Northeast to continue renting out space to host public events, citing a recent string of violent crimes linked to youth activities held at the building. 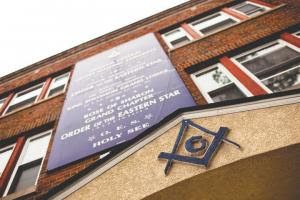 Although Masons can still meet as an organization at the King Solomon Grand Lodge on Rhode Island Avenue and hold free events, lodge members objected to the city's action. They said officials had not properly notified them to public concerns of violence in the vicinity of the lodge. "While the good members that run this lodge wanted to help the community and help kids, it was the license on weekends that was causing serious concerns in the community," Attorney General Peter Nickles said. Records showed that 114 calls for a police response within 1,000 feet of the lodge were made in the past six months. Those calls included one for a teenager being shot in the leg, and another for a teenager being severely beaten. And the volume of calls for service in the area hurt police's ability to respond to other 5th District calls, Chief Cathy Lanier said. Residents also began an online petition urging the city to close the lodge. Seriously, 114 police calls within the last 6 months? According to the Phylaxis Society's Commission on Bogus Masonic practices, "There are more African American bogus Grand Lodges in the United States than there are legitimate Grand Lodges around the world." The "Most Worshipful King Solomon Grand Lodge, Ancient Free & Accepted Masons Inc" is one of at least four such bogus grand lodges currently at work in Washington, D.C.
For an eye opener, check out the website and look up your state. Nathan and Sally Brindle are very special people in our lives. Alice and I have known Nathan for more than 30 years, and he is my closest friend. We even joined the Masons together. I was proud and honored a few years ago to be asked to be in his wedding, and he and Sally have proved to be truly perfect for each other. Our little corner of the world would be a grimmer place without them in our lives. Sally Brindle is a swimming instructor at the Jewish Community Center here in Indianapolis, and she is featured in a new video segment produced by WRTV Channel 6 for the United Way. Have a look and see why we think she is remarkable. Many thanks to the brethren of the Grand Lodge of Missouri, and especially the Missouri Lodge of Research for their great hospitality earlier this week. I had the honor of addressing 200 brethren at the MLOR breakfast Tuesday morning on the subject of the future of the fraternity and the effects The Lost Symbol is already having just one week after its publication. The MLOR has an enviable heritage. 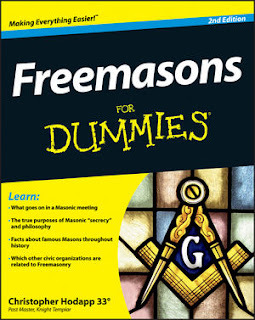 Its publications like William R. Denslow's 10,000 Famous Freemasons are indispensable to the Masonic world. And while there are dozens of research lodges in states across the US, very few can boast membership of more than 900. I also had the opportunity to tour the Grand Lodge's newly opened museum in Columbia. 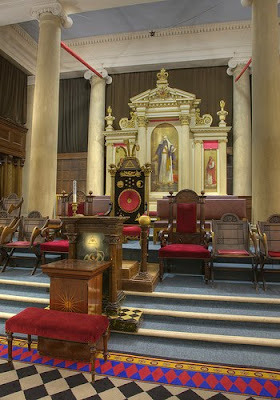 It is truly one of the finest Masonic museums you will find anywhere. It has been beautifully and professionally presented, and is a model every Masonic group contemplating their own display should take the time to visit. Likewise, they will next turn their resources to installing a new Grand Lodge library, with the same attention to detail. 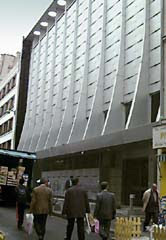 The brethren responsible for the new Grand Lodge building designed for the future, with plenty of space to expand, and the library and museum spaces take up a substantial portion of the facility. Missouri Masons have much to be proud of. My gratitude goes out to everyone who helped make this a memorable trip, especially Brother Aaron Shoemaker, who was the perfect host. Thanks also to Mike Lockwood, David Bower, RWBros Ron Miller, Dale M. Bryan, John Hess, Nicholas Cichielo, the new WM of of the MLOR Bob Berger, and especially to the now Immediate Past Grand Master, RWBro. Rocky Weaver. Friend Heather Calloway, the Sublime Priestess of Templicular Seremnity* at the Scottish Rite House of the Temple, is quoted in the Washington Post today on the subject of being a Masonic wife. See "Secrets of D.C.'s Masonic Wives Revealed" by Paula Dvorak. *Appropriately magniloquent title of tumescent blandishment concocted by Eric Diamond. 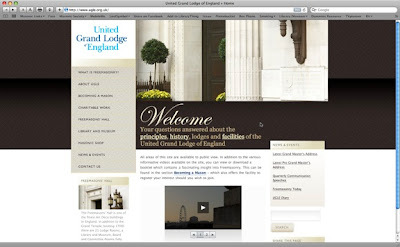 The United Grand Lodge of England has completely redesigned its website, which includes links to brochures, videos, Letchworth's shop at Freemasons' Hall, a tour of their London building, their publication "Freemasonry Today," and more. Conference rate: $79/night + taxes. Schedule is under development but promises excellent keynotes, presentations and roundtables from a variety of perspectives. Though there may be some profane speakers when relevant to the topic at had, registration is limited to Master Masons in amity with the Grand Lodge of Kansas. A dues card must be shown upon arrival. Abstracts of proposals for presentations must be submitted by November 1. If you would like information on how to prepare a submission for presentation, please contact me. The development of modern and progressive changes to Freemasonry in North America, including its underlying causes. Sociological challenges facing Freemasonry in North America today. Governance and administration issues and solutions for Lodges adopting new practices. The rebirth and importance of the philosophical and spiritual aspects of Freemasonry. European Masonry reconciled with European Concept Masonry in form and practice. Transcendent traditions in Freemasonry and their place in Modern American Masonic Practice. Xoriente podcaster, Masonic Society member and Past Master of Oriental Lodge No. 33, Eric Diamond appeared on WBEZ 91.5 FM discussing Freemasonry in Chicago last Friday. The program was "Eight Forty-Eight" (named after the Pier along Lake Michigan where the station's studios are located), and Eric spoke with host Richard Steele. One of the greatest developments of these radio interviews has been allowing so many brethren to tell a very simple story—namely, why they joined. Every man joins for a very different reason. The October 8th, 1956 issue of LIFE Magazine is one of the most regularly traded issues of that publication on Ebay. It featured a cover story—"The Busy, Brotherly World of Freemasonry"— about the wide ranging and popular world of the Masonic fraternity, which was at its zenith at that time. 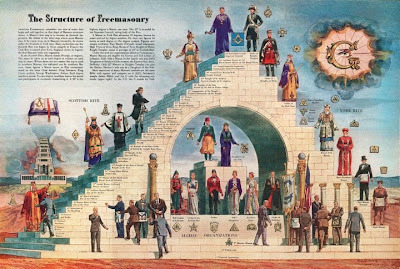 There were more than 3.5 million Freemasons in the U.S., and the WWII generation participated with gusto in the appendant bodies, as well. The article claimed one out of every 12 adult American males were Masons then. In the Lexington, Mich. district, a fourth of its 2,500 residents belong to Masonic organizations. Twenty-one of the town's 39 businessmen, seven of its 15 male high school teachers, two of five councilmen are Blue Lodge members. . . "If there were suddenly no Masonic order in Lexington," said one, "there would be a void hard to fill." LIFE has digitized all of its issues, which is an amazing resource, now available on Google. Jiri Pragman at Blog Macconique has posted photos and more information about the fire at the Grand Orient of France's Paris temple and headquarters on rue Cadet. The fire is believed to have started in an electrical cabinet and took several hours to contain. Fortunately no injuries. Peter Mollier, the Director of Library-Archives-Museum has been able to provide some information about the consequences of the fire at the Paris premises of the Grand Orient de France. He explains that by adopting safety standards over the last few years, the fire was confined to a comparatively limited area. The archives, library and museum collections were fortunately not affected. 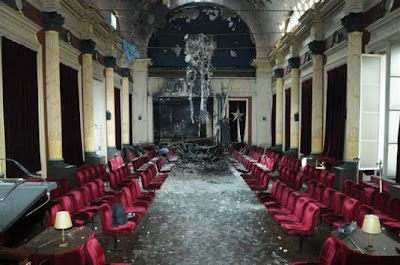 The one regrettable loss in terms of heritage is a [collection] having to do with Representative Abd el Kader, of which nothing remains. According to other sources, the damage in respect to the building is estimated to be considerable in respect to the halls and Groussier Arthur Temple (Temple 1). The halls are nearly destroyed and the roof of the building has been gutted. 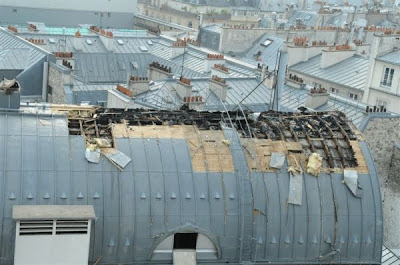 The mezzanine is unusable and the walls of the Groussier Temple were damaged by smoke. Other Temples (3 and 4) were less affected, [but suffered water damage]. The fire and the ensuing necessary work will result in closure of the rue Cadet building and administrative services (date of reopening is unknown) and cancellation of meetings and other events indefinitely. It is with a heavy heart that I announce a faithful workman in our midst has laid down his working tools. On Saturday, September 19th, 2009 Fellow and recently retired Treasurer of The Philalethes Society, Brother Henry G. Law, died at his home in Wilmington, Delaware. MWB Henry was Past Grand Master of the Grand Lodge of Delaware in 1986 and appointed as Treasurer of The Philalethes Society over 25 years ago. He served very faithfully and with distinction in that capacity and the Society owes him a great debt of gratitude. Due to a diagnosis of inoperable liver cancer, he resigned as the Society's Treasurer in August of this year and has been under hospice care for the past few months. We extend our heartfelt condolences to his wife and family and pray that they may find comfort and suport in knowing that he no longer walks by faith but by sight in the presence of his Lord where there is only endless, fadeless glory. Many of you may not have met MWB Henry and so I have attached a picture of him during his years a Grand Master from the archives of the Grand Lodge of Delaware. The following was posted on the Philalethes list October 8th. The quote from Christopher Wren's grave is indeed appropriate. Well done, good and faithful servant. September 3, 1940 – September 19. 2009, many have written about how much is packed into that dash between an individuals birth and his death. From the perspective of the fraternity of Ancient Free and Accepted Masons in Delaware, there will, undoubtedly be, in the future in Delaware, an individual whose Masonic credentials will be as extensive as Henry G. Law. But it is doubtful that they will be as deep and as significant. Son of a Past Grand Master, Henry I. Law, his exposure to the fraternity came early and ran deep, and that was the pattern for his entire involvement in the fraternity. Starting as a member of Wilmington Chapter, Order of DeMolay where his service to the Craft was later recognized by his being received as an Active Member of the Legion of Honor in 1976 at the age of 35, coincidentally, the same age his father was when he received the same honor in1942. Hank was raised in his father’s Lodge, Lafayette Lodge Number 14 on September 17, 1968 and served as Master in 1974 thus beginning a journey that would be extraordinary. A Masonic four star general in Delaware, having served as Grand Master of the Grand Lodge in 1985-1986, Grand High Priest of Grand Chapter in 1982-1983, Most Illustrious Grand Master of Grand Council in 1983-1984, and Right Eminent Grand Commander of Grand Commandery in 1991-1992. For his earlier service, as a presiding officer in the constituted bodies of those Grand Bodies, he was received into Philadelphia Priory Number 12, Knights of the York Cross of Honour. In later years, recognizing that Delaware needed its own Priory, he was instrumental in forming Jesse Greene Priory Number 70 and served as its Charter Prior, and thence had the honor of serving as Grand Marshall of Convent General in 1991-1992. He was well on his way to serving as Grand Master General of Convent General, when his life took on a different direction. In the Scottish Rite, Northern Masonic Jurisdiction, Hank was coronated a 33º Mason, Honorary member of the Supreme Council in 1986 in recognition of his faithful service to the Valley of Wilmington. He served the Valley in many ways including being Thrice Potent Master of the Lodge of Perfection in 1976 and Commander-In-Chief of the Delaware Consistory in 1987. His dedicated and devoted service to the fraternity was further recognized by his election into the honors of membership into the prestigious Knights of the Red Cross of Constantine and Appendant Bodies in 1978. He served Delaware Conclave as Sovereign in 1989. Again, because of his loyal commitment to Freemasonry, he was invited to serve as Grand Sentinel of the parent body, the United Grand Imperial Council, in 1990. Hank was a faithful attendee of Masonic Week in Washington, D.C. He was a member of the bodies meeting on that occasion. In the Allied Masonic Degrees, he was a member of Keystone Council ‘A’, Antient Order of Corks, Masonic Order of the Bath; Great Chief’s Council ‘0’ of Knight Masons where he served the Grand Council as Great Chief in 1987; Grand Preceptor’s Tabernacle ‘A’ of the Holy Royal Arch Knight Templar Priests, where he served as Preceptor in 1983; and the Royal Order of Scotland.. It was a direct result of activities in those bodies in Washington that resulted in the subsequent formation, in Delaware, of Keystone Council Number 113, and Two-By-Two Lodge Number 15, Royal Ark Mariners, Allied Masonic Degree; Delaware Council Number 18, Knight Masons. His name can be found as a Charter member, if not the Charter presiding office, in all those bodies. 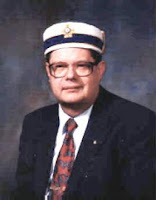 Our distinguished Brother’s interest in the legacy of Freemasonry prompted him to be a Charter Member of the Delaware Lodge of Research, where he served as Master in 1980; a member of the Societas Rosecruciana In Civitatibus Foederatis, Celebrant in 1988 and the Philalethes Society, where he received their Distinguished Service Medal in 1989 and served as their International Treasurer from 1985 until 2009. Many join an organization just to become a member, but Hank was always a participant, Many of the Masonic Bodies, of which he was a member, list him also as Secretary or Treasurer, or on numerous Committees. He provided a constant source of challenges and new ideas to each of the organizations to which he belonged. Blessed with a commanding voice, and an unbelievably sharp memory, he embraced Masonic ritual with a passion. He knew all the Masonic ritual, of all the parts of all the bodies to which he belonged. To be an officer in one of the Bodies, over which Hank presided, brought with it the expectation, no the realization, that you would know your part. You would not only know the words but you would also know what they meant. You would not only know what the degree was all about, but what the teachings and principles of that particular branch of Freemasonry professed. You may have joined his Masonic Body as ‘a poor blind candidate’ but you would not remain in darkness for long, for he was a great teacher and mentor. To be a part of his team of officers, or part of the ritualistic cast which he headed, was not a fearful thing, it was a joy and pleasure that few today can ever experience. Many will ponder, perhaps, what piece of ritualistic work that Hank did, that you enjoyed the most. Several come to mind immediately. His portrayal of the Prince Commander in the old 32nd degree of the Scottish Rite and the very closing lines of that very powerful degree. – ‘Greater Love hath no man than this, that a man lay down his life for a friend.’ His portrayal of King David in the challenging Thrice Illustrious Master’s Degree of the Council. The delight of the interchange of his role as Benedict Arnold with George Washington in the 20th Degree of the Scottish Rite or the solemnity of the 5 Libations and the Ode in the Order of the Temple, King Athelstan in the York Rite College or his presentation of the Third Degree Lecture – they were all magnificent captivating presentations of beautiful ritual delivered by the Master..
Masonic scholar, teacher, mentor, leader, ritualist, author, confidant, trail blazer, repository of vast knowledge, builder of computer data bases on membership and honors, Hank was also a husband (Pat), a father (Kathy, George, Kenneth), a grandfather (Nicolette, Lexie, Jacob, Christopher), a graduate of the University of Delaware, a former duPont Project Engineer and Ciba-Geigy employee, a recipient of numerous Jaycees awards, a Master Gardner, with a fondness for roses, and a devout member of St. John’s Lutheran Church. He was truly a Man For All Seasons, for all people. Truth because it is true. Hank lived that 24 by 7. It is difficult to face the realization that the next time one seeks a bit of advice, or some distant recollection of a name or event, that Past Grand Master Henry G. Law will not be there to assist. As great as that loss will be, a far greater loss would have been had we never had the pleasure of knowing and working with Hank. Service for Henry G. Law will be held on Wednesday, September 23, 2009 at St. John’s Lutheran Church, 135 Old Baltimore Pike, Newark, Delaware at 11:00 A.M. In the crypts of St. Paul’s Church, on Ludgate Hill in London, England, is the final resting place of Sir, and Brother, Christopher Wren, the Master builder of St. Paul’s Church, his only round Church. Wren’s memorial reads – ‘If you seek a monument, look around you.’ Henry G. Law spent the last years of his life overseeing the building of St. John’s Lutheran Church. If you seek a monument to his name, look around that Church. Look not only at the Church, but also at the people present. Good night, sweet Prince, may flights of heavenly angels guide you on your way and sing you to sleep. This article appeared this morning on Inside Indiana Business. Good for the home team here in Indiana. The Indianapolis Convention & Visitors Association (ICVA) has booked the 94th annual convention of the Daughters of the Nile for June 13-17, 2010. The convention, called the Supreme Session, is expected to draw more than 4,000 attendees, fill 6,700 hotel room nights and generate $4.3 million in direct visitor spending. “We are delighted to welcome this outstanding philanthropic and service-oriented organization to our city,” said Don Welsh, ICVA president and CEO. “Harmony in the Heartland” will be the theme of the convention, which will be hosted by the Evansville-based Isis Temple under the leadership of Sue Layman. Daughters of the Nile is an international fraternal organization for women 18 years of age or older who are related by birth or marriage to a Shriner, Master Mason, or Daughter of the Nile. Founded in 1913 in Seattle, Daughters of the Nile has more than 35,000 members in 147 cities throughout the U.S. and Canada. Daughters of the Nile contribute more than $1 million annually to the Shriners Hospitals for Children to be used for the medical care and rehabilitation of children. Since 1924, Daughters of the Nile has contributed monetary gifts of more than $45 million. For more information about the Daughters of the Nile, see their website here. 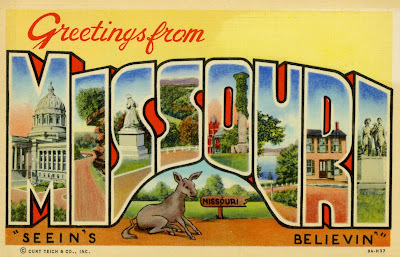 I'm back in the wee hours of Wednesday morning from a visit to the Grand Lodge of Missouri and addressing the Missouri Lodge of Research. More about this terrific trip when I catch up on my sleep. While I was in Columbia, I ran over to the University of Missouri campus for a remote studio interview, discussing Freemasonry on public radio's weekly religious program, "Interfaith Voices". Many thanks to the show's host, Maureen Fiedler at WAMU in Washington, and to Pat Akers in Columbia for making the long distance tech side work. Also, a big thank you to senior producer Laura Kwerel for her efforts in setting up the interview and the remote. That can be a thankless job, and you made it easy. The episode is now archived here. The window was broken, fingerprints fresh. Inside, a burned Masonic Bible lay atop a damaged altar. Nearby was Tod Redman Stewart, a 34-year-old homeless man. 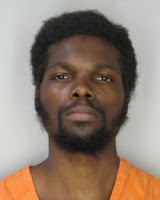 He was arrested at 12:27 a.m. and booked into a Hillsborough County jail. This was the same man who set fire to a flag outside the U.S. District Courthouse in downtown Tampa three times — once in 2007 and twice in 2006. According to state records, this was his 29th arrest. This was Stewart's fourth arrest this year. Twice before, in 1999 and 2000, he was acquitted of theft charges and deemed emotionally unstable. Since then, he and the Tampa police department have been regular acquaintances. Last year he was convicted of trespassing in Tampa International Airport, and in May, he was convicted for trespassing at a Wal-Mart. In the lodge fire incident, he has been charged with burglary of an unoccupied structure, first-degree arson and criminal mischief to a place of worship—probably based on church arson laws enacted in recent years. According to an article on L'Express.com, the headquarters of the Grand Orient of France on rue Cadet in Paris' 9th arrondissement caught fire at approximately 5:00PM on Saturday. Later reports indicated that the blaze started in an electrical cabinet. There were no casualties, but the building was extensively damaged. The Grand Orient of France is the largest obedience in France with about 50,000 members, but is not recognized as regular by mainstream North American Freemasons. There are approximately 140,000 Freemasons in France, belonging to a dozen different denominations, most of which are strictly male. "Mysterious Masons ... (yawn)" showed up in Saturday's paper with its snarky headline, chopped down content, and four days after the full article by Hillel Italie ("Freemasons Await Dan Brown Novel 'The Lost Symbol'") appeared in the rest of the world's newspapers. BTW, I wonder what the Herald's circulation is these days. Cruising the National Review site tonight, I hit this clip with Richard Brookhiser talking about George Washington's Freemasonry to Will Cain, who seems to be mainlining energy drinks and doing an annoying Griff Jenkins impression. Cain fires off incisive questions like, "So, let's try this—Where there's smoke there's FIRE?! (wink, wink)"
He's right. Most of it is. In the video clip he remarks that the second question usually asked at his talks on Washington (right after dopers asking if George grew hemp) is almost always, "Was Washington a Freemason," then goes on to claim that 30% of the time the question is asked by Freemasons who want to pat themselves on the back, and the rest are anti-Masons. But Brookhiser seems to think the attraction for Washington was the ritual and pageantry associated with the Craft. He tends to stress this in his book as well. I would argue that the attraction for young George was that when he joined at 21 in Fredericksburg, he had just inherited a massive responsibility with the death of his older step-brother, Lawrence. He now had several plantations, a sizable fortune, along with an inferiority complex about the deficiency of his own formal education. Lawrence had been his mentor, along with Lord Fairfax, who became his patron and hired him as a surveyor at the age of 17. Freemasonry at the lodge in Fredericksburg counted as its members the most respected men in the county. His membership there signified his own new position in society, and it was a place to cement those social connections. It was a fraternity of learned men. It encouraged self-improvement. It introduced him to the real-life application of the philosophies of the Enlightenment. I would argue there were far more reasons for his joining than a preoccupation with pomp and circumstances. 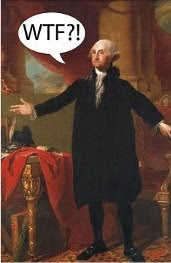 If Washington was looking for mere pageantry, he found it in the military, not necessarily the lodge. Brookhiser does make the distinction between Freemasonry in America vs. in continental Europe, and the very different paths the fraternity took, a point that is rarely made. Brethren involved in internet sites for their lodges and grand lodges, beware. At least one grand lodge website has been hacked today. It seems Dan Brown mania has brought out the best in folks. The University of California at Los Angeles (UCLA) and the Masonic Grand Lodge of California are pleased to announce a one-year postdoctoral fellowship at UCLA from September 15, 2010, through June 15, 2011. The position is open to a recent PhD with a strong interest in the history of civil society, fraternalism, and Freemasonry. This postdoctoral fellow will teach one course in either American (North or South) or European history with emphasis on Freemasonry, designed in consultation with Prof. Margaret C. Jacob, Distinguished Professor of History, and work with a graduate student research assistant with an interest in any aspect of the field. A $50,000 stipend, office space for the nine-month period, and a modest relocation fee will be provided. The postdoctoral fellow must remain in residence while classes are in session. Applicants should submit a c.v. and three letters of recommendation to Prof. Margaret C. Jacob by December 15, 2009. UCLA is an AA/EOE. Women and minorities are encouraged to apply. Freemasonry is the world’s first and largest fraternal organization. The Masons of California have supported public education since 1850 and are proud to advance academic research and study in the field of Freemasonry and fraternalism. Even though morning radio's Mancow referred to the Masons during my brief stint with him yesterday as "a bunch of irrelevant, old salesmen," the rest of the radio and TV media has been eagerly hunting down Masons to interview for the last couple of days. Most of you have at one time or another accessed the incredible Grand Lodge of British Columbia and Yukon. You may not have known it was the handiwork of Vancouver's Brother Trevor McKeown. He is one of the great unsung heros of Freemasonry on the Internet, and while the BCY site is frequently referenced, cited and ripped off, few know who has done the hard work behind the scenes. Trevor is interviewed briefly by the CBC, in case you've never seen him before. Thanks to Justa Mason for the heads up. National Public radio did an interview with Dan Brown, and then followed up aith a story featuring Brent Morris at the House of the Temple, and Jay Kinney, the publisher of the now-defunct Gnosis Magazine, and author of the newly released The Masonic Myth. Have a listen at Secrets of the Masons: It's Not So Secret. I understand the George Washington Masonic Memorial made the NBC Nightly News Wednesday evening, but haven't found a link to it that worked. Out of the 23 radio interviews I did yesterday, Doug Miles at WSLR Radio in Tampa/Sarasota sent me a link to our segment, here. Thanks, Doug. I was bummed I couldn't hang around and hear Mancow's interview after me with Alex Jones. Well, no I wasn't really. Now that Dan Brown has written the world's most anticipated book, and The Lost Symbol turns out to paint Freemasonry in a positive light, longstanding critics of the fraternity are working on their own lathered responses. The British press, ever on guard against us wily Freemasons, now has the jitters over whether Dan Brown is lying or not. The BBC today has posted Can we trust Dan Brown on the Freemasons? The BBC's favorite Mason/Anti-Mason tag-team of UGLE's John Hamill and hysterical author Martin Short take turns batting specific passages from the Lost Symbol back and forth over the net at each other. This does, however, have the distinction of perhaps being the first article about Freemasonry in the UK that didn't use the phrases "rolled-up trouser leg" or "dodgy handshakes." Dan Brown may loathe Catholics, but he just adores the Masons. “Brown goes out of his way in ‘The Lost Symbol’ to present the lodge as essentially benign and misunderstood,” says an AP story today. The Catholic Church, of course, is seen by Brown as essentially wicked and misunderstood only by its followers. “Masons are praised for their religious tolerance,” the article says. Somehow Catholics failed to notice: so abhorrent were Masons in their thrashing of Catholicism that the 1917 Code of Canon Law provided for automatic excommunication to any Catholic who joined a lodge. The current stricture in the Church, following the 1983 revisions to the Code, doesn’t mention Masons by name, but does retain excommunication for those who join anti-Catholic organizations. In his new book, Brown defends the Masons against “unfair” portrayals. So kind of him. In real life Brown says he has “enormous respect for the Masons.” Must be their historic anti-Catholicism that won him over. Showing nothing but sweetness and light, the man who has made millions dumping on the Catholic Church says of his new work, “It’s a reverent look at their philosophy. I’m more interested in what they believe than all their rituals and conspiracy theories about them.” Now if only Brown had cut Catholics the same break. Cry me a river. I was born and raised into Catholicism. I went to a Jesuit High School. I've been a Freemason for 11 years. I know the arguments, and I'm sure zealots like John Salza will come roaring out of the gate to proclaim far and wide why Freemasonry and Catholicism cannot be reconciled, no way, nohow. I know the historic battles between the two organizations. But Mr. Donohue alleges Freemasonry is an anti-Catholic organization, and the truth is that Anglo-Saxon derived Freemasonry as it is practiced in the US, Canada, the UK, Australia and the rest of the regular, recognized Masonic world is NOT anti-Catholic. There are Catholic Masons all around the world who know better. In the meantime, I again restate my apologies for all those bad premonitions I had over this book. We all owe Dan Brown a healthy dose of gratitude. Maybe a Christmas card. Perhaps a fruitcake. I'm sending Omaha Steaks. The Scottish Rite Northern Jurisdiction's National Heritage Museum in Lexington, Massachusetts will open "Freemasonry Unmasked: Anti-Masonic Collections in the Van Gorden-Williams Library and Archives,” opening Oct. 3, 2009 through May 16, 2010. Suspicion of Freemasonry is nearly as old as the fraternity itself. Since the early 1700s, groups have accused Freemasons of everything from plotting world revolution in their lodge rooms to worshiping Satan in their initiation ceremonies. Equating Masonic secrecy with darkness, sin, immorality, intemperance, treason, and the devil, anti-Masons have maligned the fraternity with both misconceptions and deliberate misstatements. For hundreds of years, Freemasons have promoted fellowship, charity and education among its members. Despite this positive mission, they have also needed to battle these mistaken beliefs about the organization. 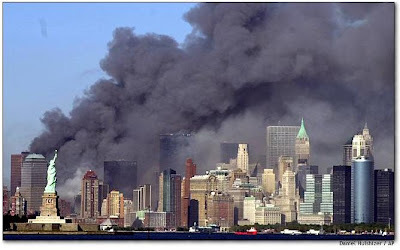 By looking at anti-Masonry in a historical context, objections to Freemasonry have often accompanied changes in society, such as religious revivals in America to totalitarian regimes in Europe. In addition to helping understand the history of Freemasonry in America, the anti-Masonic movements and ideas shed light on the social, political and religious history of the United States. Over time, anti-Masonic propaganda has taken many forms. 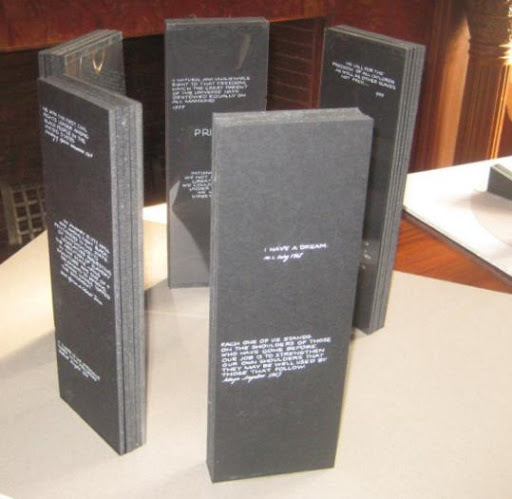 Exposés of Masonic ritual have been printed since the early 1700s. In the 1820s and 1830s, following the kidnapping and presumed murder of a former Mason who threatened to publish an exposure of Masonic ritual, Americans began producing anti-Masonic newspapers, almanacs, broadsides and other pieces. During this same period, a political party that promoted anti-Masonic candidates formed. Just finished "The Lost Symbol" tonight. No spoilers here, but I do not exaggerate when I say it is very respectful of Freemasonry. My early fears were unfounded, and I owe Dan Brown an apology for all those terrible things I was thinking. The Scottish Rite SJ's House of the Temple is indeed a centerpiece, and the George Washington Masonic Memorial has a brief cameo. Brown does have fun with Masonic internet claims (map in the street of DC, Star of David on the dollar that spells "MASON"). He also ridicules the wildest claims commonly made by anti-Masons. In fact (and again, I do not want to spoil anything here), one of the principal fears in the story involves the negative perception the ignorant public might get by misinterpreting Masonic ritual. 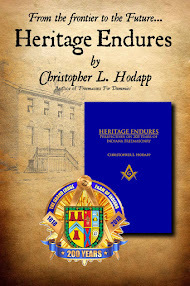 Brown uses exposés of Masonic ceremonies from anti-Masonic sources from the 18th and 19th century that were originally published to embarrass the fraternity. So I can say the rituals in The Lost Symbol are not accurate, in case any non-Masons out there are considering trying to bluff their way past the Tyler—he's the gentleman who sits outside of our lodge doors armed with a sword. Armed. With a real sword. Now, as I said, Brown’s book is actually very respectful of Freemasonry, and he even has a heartfelt explanation as to why Masonic secrecy is a good thing. So whether his descriptions were written out of ignorance, or maybe deliberately incorrect out of respect for our ceremonies, who knows? The shame is his "thriller" part of the story degenerates into a sort of Red Dragon meets Dr. Phibes. And then its climax happens 35 pages before the end of the book. However, the pleasantly surprising aspect is how intelligent the last chapters of the book are, with a conclusion that explains Masonic philosophy concerning faith better than many Masonic books you've read. And he gives a twist to the meaning of "The Lost Word." As an added bonus, Brown really will make you want to visit Washington. I'm prepping for 28 radio interviews beginning at 7:00AM, plus the Discovery Channel tomorrow afternoon. They are interviewing both Alice and me. I'll be the one wearing the Masonic Society pin. Brother Jay Kinney, longtime publisher of Gnosis magazine, and the author of the newly released The Masonic Myth, will be interviewed this afternoon on NPR's "All Things Considered." If you miss the show live, catch the interview later in the day on the NPR website. And now the madness begins. Increased scrutiny of Freemasons and Masonic buildings because of Dan Brown's The Lost Symbol will unquestionably have major effects on the fraternity, but the unintended ones will be unfortunate, costly and even dangerous. In the insanity of Dan Brown mania, there will be those who think we have great gobs of treasure, or secret talismans of occult power, or any number of other idiotic flights of imagination hidden in our lodges. Case in point: eight men have been arrested in a break in and burglary of a Masonic temple last night in Lawrence, Kansas. See the article here. If your lodge doesn't have an alarm system, exterior lighting and other safeguards, now is the time to invest in them. And I shudder when I think of the loons who will be touring Masonic landmarks mentioned in The Lost Symbol (Brown is actually putting street addresses in his novel!) like the House of the Temple and the George Washington Masonic Memorial. On this date, September 13th, in 1826, William Morgan disappeared in Batavia, New York, after threatening to expose the "secrets" of Freemasonry. He was never found. His disappearance ignited the most intense and prolonged period of anti-Masonic sentiment in the U.S., along with the first third-party political movement. Brother Jim Tresner is featured in an article on the Oklahoman website this morning. See "Oklahoma Masons prepare to handle curiosity sparked by Dan Brown's novel"
Jim Tresner, a longtime Mason who serves as the Oklahoma Grand Lodge’s publication’s editor, said pamphlets and brochures have been prepared to give out to people who wish to know more about Masons, and the lodge’s Web site also will include additional information for the inquisitive. He said the lodge also has an informal speaker’s bureau that will handle any requests for speakers to share information about the fraternal organization. . .
"There’s been a 70 percent increase in petitions (to join) since ‘National Treasure,’” Tresner said. Tresner said he read Brown’s two previous books and enjoyed them. He said he is as curious as many others about how "The Lost Symbol” will characterize masons or whether the fraternal organization will even be mentioned. "We asked many petitioners why they want to become Masons, and they say they want some fraternalism. They want some time with men, and they like the fact that this is a group of men who will support them no matter what,” Tresner said. The new Prince Hall Memorial in Cambridge, Massachusetts will have its dedication ceremony today, September 12th, at 12pm, which marks the birth date of Prince Hall. The ceremony will take place on historic Cambridge Common, and will be followed by a reception at 1pm, at the First Church Congregational, 11 Garden Street in Cambridge. The unveiling of the monument has been postponed to November, and an announcement of the exact date and details will be made soon. Mayor E. Denise Simmons of Cambridge started the push for a monument for Hall in her city while she was a councilor in 2005. The monument is being created by Cambridge artist Ted Clausen. Clausen said that in creating the memorial, he wanted to give others the same sense of discovery. Five granite stones will be cut in the fashion of 18th- and 19th-century tombstones. They will be 6 feet tall and 27 inches wide, designed in relation to the human body. The stones will form a circle, and quotes from civil rights leaders will be etched on the rough granite outside finish. . .
See the Memorial's official website for more information. The Masonic Society, the Masonic Service Association of North America, and the George Washington Masonic Memorial have collaborated on a new website that will address the references to Freemasonry found in Dan Brown's new novel, The Lost Symbol. The website is being provided for the use of lodges and grand lodges to provide factual information to the public and the press, and as a central location for common questions and answers that will arise once the book is officially released on September 15th. The desire of TMS, MSA and the GWMM is to inform the public and Freemasons themselves about the references to the fraternity in the book, and to save us all from reinventing the wheel for hundreds of websites. The site also contains a link to a recommended reading list, as well as to a master list of grand lodge websites. Take a moment to remember the events from eight years ago today. 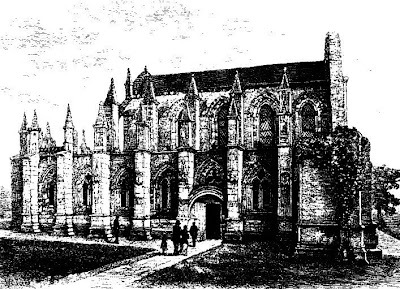 Many people are familiar legends surrounding Rosslyn Chapel in Roslin, Scotland, near Edinburgh. More properly called the Collegiate Chapel of St Matthew, it was built beginning in 1446 by Sir William St. Claire, Prince of Orkney as part of a larger cathedral that was never completed. Sir William, who died in 1484, was buried in the chapel. It is asserted by some that Sir William had secretly been a Knight Templar, and his chapel has long been the center of wild speculation, variously claimed to be connected to the Knights Templar, Freemasons, Holy Grail seekers and pop-culture pilgrims in search of Dan Brown’s “Sacred Feminine” mystery. From its incredibly detailed carvings to its possible connection with Templars who may have been hiding from the Pope’s wrath after their excommunication, Rosslyn is a true enigma. Rosslyn is also the name of a neighborhood just across the Potomac on the southeast corner of Washington D.C. Is it named after the mysterious chapel in Scotland, and does it hold some clue to the mysteries of Washington D.C.? According to researcher Ian Kendall, of the 1,974 communities and neighborhoods in the District of Columbia, 342 of them, or 17.3 percent, are named after Scotsmen, Scottish locations or Scottish words—one of the highest urban concentrations of Scottish place names in the United States. (Nearby Baltimore has a similar concentration.) Obviously, a lot of Scotsmen roamed the banks of the Potomac in the 18th century. So it’s entirely possible that some Midlothian Scot in the 1700s decided to name his patch of land after Rosslyn Chapel. The mystery gets even stranger when Rosslyn, Virginia, is located on a map, just across the river from what was once known as Mason’s Island (named after George Mason, who wasn’t a Freemason), now called Theodore Roosevelt Island (named after a famous Freemason president), at the base of the Theodore Roosevelt Bridge. A bridge named after a Freemason passes over Mason’s Island, pointing at Rosslyn in a direct line from the White House! It is a minor footnote in Washington’s history, but in 1866, there was a suggestion put forth in Congress to move the Presidential Mansion to a different location. The White House had not been expanded yet, and sewage from the city canal dumping into the nearby Potomac River, combined with the surrounding swampland, made the area less than pleasant on a hot, humid day. A commission was appointed to find a new place within the district that would provide room to build a larger mansion, nestled in more pleasant surroundings. The commission, led by Major Nathaniel Michler, chose what would become Rock Creek Park. The idea of moving the White House died out quickly, but the land Michler recommended was purchased and was turned into one of the largest city parks in America. Now let’s engage in a little “sacred geometry” of our own. Draw a line north from the White House, up the 16th Street Meridian Line, clear up to Rock Creek Park where the presidential mansion would have been built. Draw another line straight west from the White House, across the river, creating a right angle. 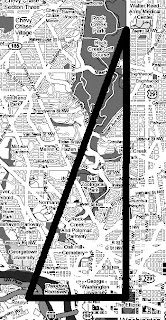 The third leg of this triangle crosses diagonally over the Potomac by way of the Francis Scott Key Bridge, connecting Rock Creek Park and Rosslyn. Could the “Key” of Solomon be the Key Bridge, pointing the way to a modern-day Rosslyn chapel? There really is a temple dead center in Rosslyn, Virginia, and, as hoary legends and present-day potboilers suggest, it really does have a treasure buried in its underground vaults. The Arlington Temple United Methodist Church is at 1835 N. Nash Street in Rosslyn, and if you’re looking for symbolism, it rivals the original Rosslyn Chapel as one of the most peculiar churches ever constructed. The ground floor of this multi-story building is a Chevron gas station. When the church was built in the 1970s, the founders wanted it to have a reliable source of income, so the filling station was designed into the original plans. To advance the study and understanding of Freemasonry and to encourage research into the significant impact fraternalism in general and Freemasonry in particular have made on society over the last three hundred years, the Grand Master’s Project (2009–2011) will establish a fund to create a Centre for Masonic Studies in conjunction with a University in Ontario. In an age when Freemasonry has been fictionalized and trivialized in popular culture, to gain credibility in the academic community would restore the true historical perspective of the fraternity. This proposed partnership between the Grand Lodge A.F. & A.M. of Canada in the Province of Ontario and Brock University, St. Catharines, would honour the name of R.W. Bro. Charles A. Sankey (1905-2009). Dr. Sankey served as Chancellor of the University 1969-1974. A renowned Masonic scholar, he was active in all the concordant bodies of Masonry – Ancient & Accepted Scottish Rite (33°), Royal Order of Scotland, Royal Arch Masons. His extensive collection of rare Masonic books and papers is in the Special Collections of the James Gibson Library at Brock, providing a rich resource for research scholars and students. To initiate the project, a series of lectures is planned beginning in the spring of 2010. The Lost Symbol articles are coming thick and fast now. Today's Washington Post features Take a Tour of Masonic Washington: What Does It All Mean? Apparently, Old Town Trolley Tours is considering a Secret Symbols tour of D.C., based on a concept and script drafted by Warren Getler, co-author of Rebel Gold. There's also a gallery of photos of the George Washington Masonic Memorial and the House of the Temple at Scouting Sites For The Lost Symbol. And NBC's Matt Lauer is apparently the only person allowed to have an exclusive peek at Brown's book in advance, and is visiting locations mentioned in the book on the Today Show all this week. He will interview Brown on next Tuesday's show. 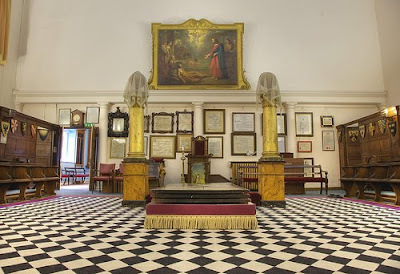 The Masonic Hall in Bath, England is nothing short of drop-dead, falling-down magnificent, and is now being opened to the public for tours. As a story in today's thisisbath.co.uk reports, the Hall began life 260 years ago as the Royal Theatre in 1750, and then as a Catholic Church in the early 1800s. Tuesday September 15 the building will be open for guided tours seven times every week. The tours will be on Tuesdays, Wednesdays and Thursdays at 11am and 2.30pm, and on Saturdays at 2.30pm only. The tours will last for about 90 minutes, and will cost £6 for adults, £3.50 for children, and concessions will be £5. Tickets will be on sale at the Bath Tourist Information Centre in Abbey Churchyard, or online at www.visitbath.co.uk. Local residents can have a free preview on Saturday September 12, when the hall will be opening its doors as part of English Heritage's annual Heritage Open Days. On that day guided tours will be available between 10am and 3pm. These will include, for the first time, admittance to the Masonic Museum that had been tucked away in a garret room of the building since 1925. The museum collection has now been moved to the vaults below the building. The vaults have been excavated over recent years to provide an atmospheric home for possibly one of the finest collections of rare Masonic Artefacts in the World. The vaults once housed the burial chambers where members of the Catholic Chapel congregation were buried, including exiled French nobility who had fled the French Revolution. The building was the main Catholic Chapel for the City of Bath between 1809 and 1863. During much of that time it was closely associated with Bishop Peter Augustine Baines, the founder of Prior Park School. The highlight of the tour is one of the grandest Masonic temples in the country. The temple now occupies the auditorium of the original Bath Theatre Royal, opened in 1750. As part of the tour, visitors will be able to stand on the very stage where the leading actors and actresses of the 18th century including Sarah Siddons, performed to packed houses. Visitors will also be able to go backstage to see the original 18th century scenery loft. Photos from Fortuguada's Photostream. Many thanks for allowing their use.